Stop relying on archaic content solutions like PDFs that choke your information at the source. Create content that flows from Microsoft Word to the world. Using one of your own key documents, learn how your team can seamlessly flow content from MS Word to the Web, mobile devices and beyond. Internationally known speaker, consultant. Author of Content Management Bible and Laughing at the CIO. In a world where getting the right information to the right people in the right ways is vital, PDFs are damming up your content as quickly as it's created. The PDF format was designed over 20 years ago to move content between producer and printer. But today content moves less to printers and more to websites, tablets, and a variety of mobile devices. 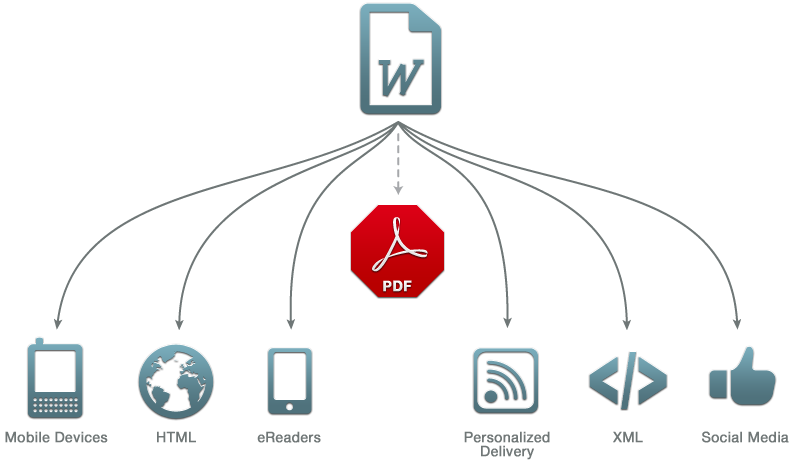 We'll show you how to remove the PDF barrier and deliver content to anyone, anywhere—no matter how they consume it.